Flights will operate from Guwahati to Singapore, Bangladesh, Bhutan, Nepal, Myanmar, Malaysia and Vietnam. 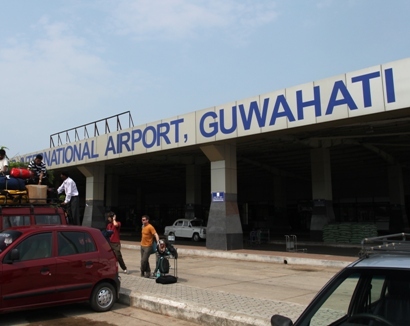 The Union Ministry of Civil Aviation has cleared an international air connectivity scheme recently, which will connect Guwahati airport with seven countries. Under this scheme, flights will operate from Guwahati to Singapore, Bangladesh, Bhutan, Nepal, Myanmar, Malaysia and Vietnam. The government will provide viability gap funding of operations of Rs 100 crore for three years. Additional Chief Secretary to industries and commerce department of Assam, Ravi Capoor said, “Airport Authority of India on behalf of the ministry of civil aviation and government of Assam, has invited bids for selection of airlines under the International air connectivity scheme (IACS) Udan”, reports ET. Assam Chief Minister Sarbananda Sonowal said the new generation wants a new wave of change, which will usher in development and employment in the northeast. “Under the leadership of Prime Minister Narendra Modi, the northeast is heading towards a new era of development. The new generation entrepreneurs can fuel a business mentality, which has set in motion an industrial development in the region,” he said.